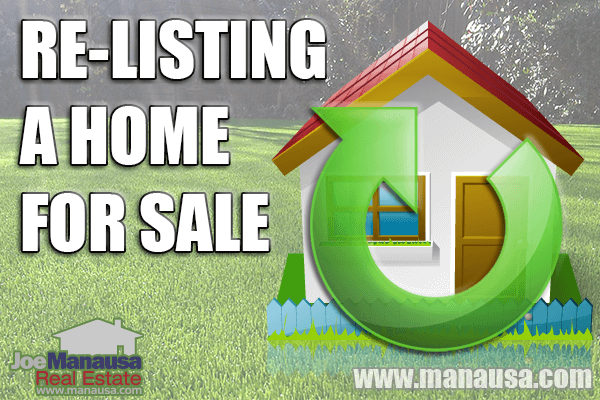 Every so often, I observe a seller choose to re-list a home with a different agent within the same real estate company that failed to sell the home during the initial listing period(s). This is a huge mistake and one a prudent homeowner will avoid. First of all, you might be curious to know why homes fail to sell. There really are only four reasons why this occurs. The homeowner has a change of heart and removes the home from the market. This happens occasionally. Somebody decides to sell their home and hires a real estate company. After the home hits the market, the life changing event that prompted them to list their home for sale changes so they cancel their move. The listing company (and agent) fails to market the home to the entire group of buyers who might be interested in the home. It's all well and good that your home has a sign in the yard, but 94% of buyers are using the internet to find homes these days. If you are not continuously and prominently featured in the correct places on the internet, then your changes of selling at the highest possible price are greatly reduced. Poor marketing limits the prospective buyer pool. The home is improperly priced and does not attract serious buyers. Homes that are priced above their market value bring in little interest, and those that do have interest are expecting a nicer home. Homes that are listed at too low a price bring plenty of interest, but with people who will not be able to afford the home at its full market value. Improper pricing is the top reason that homes fail to sell. There are no buyers (yet) for the home. Some areas and some price ranges have such low liquidity that nothing short of a fire-sale will move the property. For example, we rarely see a home in Tallahassee sell for more than $3M. If you had a $5M home, who's to say when the next one will sell (the last $5M property sold more than 10 years ago). But price is not the only issue. Perhaps you have a barrel house, or a home on a sinkhole ... there are conditions that greatly reduce the liquidity of buyers for a property. Just remember, this is not likely the reason that 99.99% of homes failed to sell though. Unless you are a home seller who had previously had a change of heart and terminated the listing agreement, then you obviously made a hiring mistake when you chose the company (and agent) which failed to sell your home. This is so bizarre to me. Most people's most expensive asset is their home, yet they entrust the equity in their home to the first agent with whom they speak about selling it. Why not interview multiple agents (at multiple companies) to discover who has the plan and processes that will likely net the most money for them? So choosing a different agent from within the same brokerage means that at best, you'll upgrade the quality of your agent without benefiting at all from a real estate brokerage upgrade. Again, my thoughts go back to "why not get the best" to help you get the most from your sale? You might wonder about all the work that goes into a top home-selling plan. We have written a free resource for home sellers who have undergone one (or more) failed attempt at selling their homes. We call it "Your Home Failed To Sell! Now What?" and you can download it by simply clicking on the image to the left or by following this link. As somebody who has a home to sell, please remember that you are a highly coveted customer to most real estate companies and you should be served accordingly. 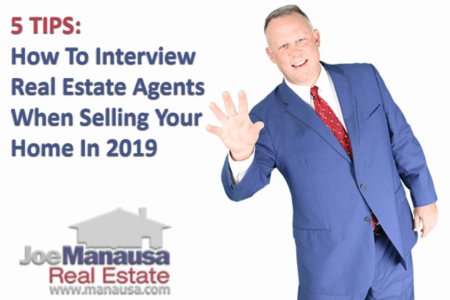 Nobody is doing you a favor selling your home, so make sure you find the real estate brokerage who will do everything possible to net you top dollar for your home. If we can do anything to help you at Joe Manausa Real Estate, simply drop us a note and we'll be in touch right away.